Walter and Sylvester go undercover as competitors at an international chess competition in order to extricate a U.S. spy from a foreign country before her identity is exposed. 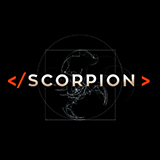 Scorpion was broadcast on Ten at Saturday 13 April 2019, 19:22. Scorpion is an American action series written for television and lightly inspired by the life and legend of Walter O'Brien, a computer genius. In Scorpion, Walter, with an IQ of 197 and known for hacking into NASA as a kid heads a high-tech crime-fighting organisation ?consisting of manager and mother of a gifted son Paige, psychiatrist Toby, mechanical engineer Happy, and mathematician Sylvester. Together they often help out the Department of Homeland Security with the most complex and high-tech threats, while the team also works for private clients. 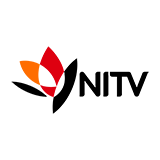 While the individuals of the Scorpion team are all highly intelligent and capable in their own fields they sometimes struggle with the realities of every day life, especially on a social level. Besides keeping everyone in check Paige also provides the necessary social context for the other team members wherever and whenever necessary.